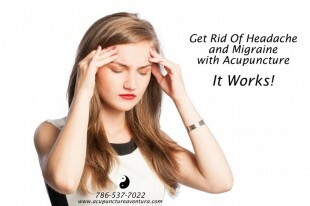 The clinical condition of primary headaches – migraines, cluster, and tension headaches – recognized but not overcome with western medicine, is often treated with acupuncture. Most Americans try out this alternative plan at our wellness center because it is safe, natural, and cost-effective both for mild as well as moderate episodes. While tension headaches are common and require treatment based on their frequency, migraines are the more severe type. Generally, the symptoms for tension headaches will be irritability, fatigue, muscle ache, disturbed concentration, problem in having a sound sleep, headache when they wake up, and an increased sensitivity to noise and light. Patients who suffer from episodic tension headaches complain of a constant pressure at the top, front, and sides of their heads. It starts slowly, usually at mid-day, and last for at least thirty minutes although accounts of several days are not unheard of. The chronic tension headache patients have an intense pain for the whole time that they are affected and their time period is also longer. Apart from the common fatigue, sensitivity to sound, light and odors, people suffering from migraines will have blurred vision, auras, pain that may shift sides of the head or affect the whole part, dizziness, paleness, loss of appetite, nausea, abdominal pain, and sensations of being extremely warm or cold. They tend to get worse with activity. Cluster Headaches are characterized by their one-sided, intense and continuous pain that does not change sides and is localized in the eye region. A single episode may last for a short time but visit frequently during the day. Sinus Headaches, on the other hand, accompanied by other sinus symptoms, are continuous pain in the forehead, cheekbones and the bridge of nose. Inserting and manipulating thin needles into the specific acupuncture points initiates the axon reflex of the human body to increase blood flow and relax muscles. The needles are inserted along the shoulders, arms, and legs which ultimately provide relaxation. The treatment depends on factors such as the time the headache is in effect (morning, night, or after meals), place (temples or behind the eyes), the intensity of pain (dull or sharp) and the effect of light in eye. On average, the acupuncture treatments have a duration of twenty to thirty minutes in sessions that are held once or twice in a week, depending on the severity. Sometimes, Chinese herbs, nutritional adjustments, and exercises along with this procedure enable greater recovery. Acupuncture for headache works rather quickly and patients see results within a few sessions. In cases of migraine attacks, however, unnecessary dilation of vessels may worsen the pain. Unlike the standard treatment then, it is, therefore, restricted in terms of the selection of acupuncture points. Only the lower body section is focused upon. In addition to this, the patient is instructed to keep sitting during each session of therapy to keep a control check on the vessels. If they still continue to experience greater dilation, an electrical stimulation is used to constrict it. Acupuncture for migraine, according to clinical studies and our own observations in clinic, prove to be very effective and patients see results after just a few treatments. In acupuncture therapy, especially in treatment of headaches and migraines, it is important that the practitioner is well informed about their patient’s symptoms. The patients from the our center usually report back positively about the way their quality of life improves and how the intensity, duration and frequency of their headaches or migraine have lessened. Do you have any questions about headache and acupuncture? Feel free to contact us at 786-537-7022 to get started with treatment today. We are located in Aventura Florida minutes from North Miami Beach, Sunny Isles, Golden Beach and Hallandale Beach.